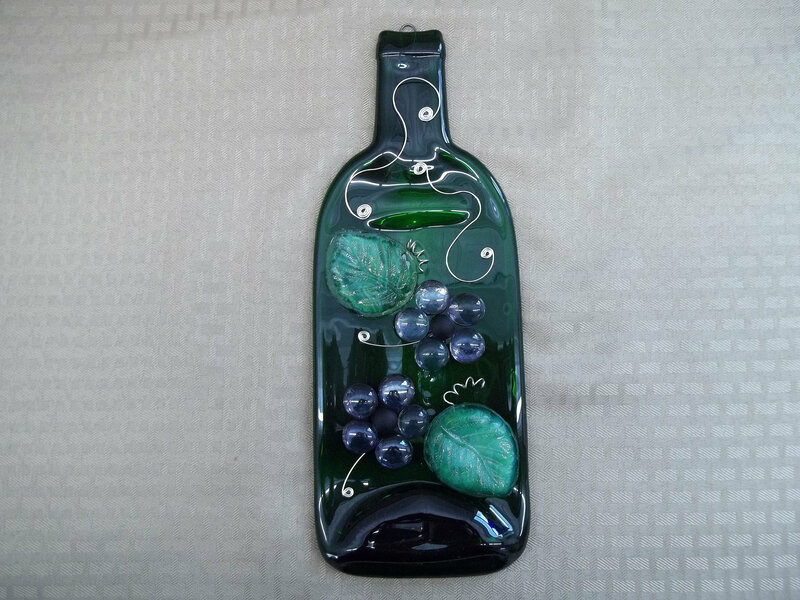 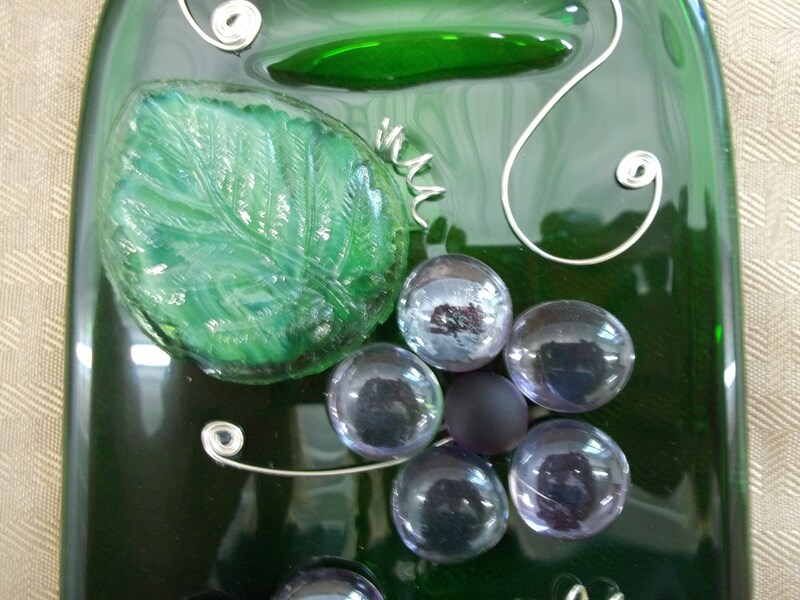 Handcrafted out of a recycled wine bottle, this unique piece of garden art bears purple flowers and green glass casted leaves with wire work embellishments. 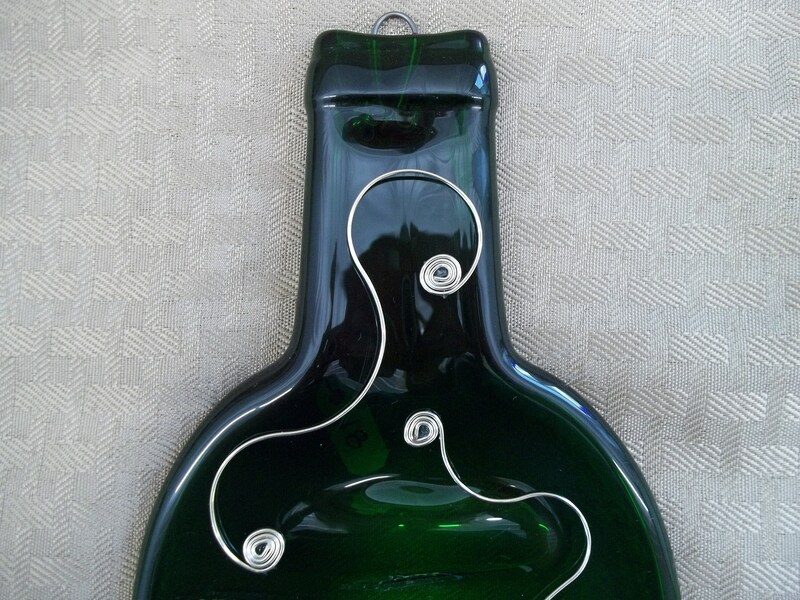 The hook to hang is fused right into the bottle. 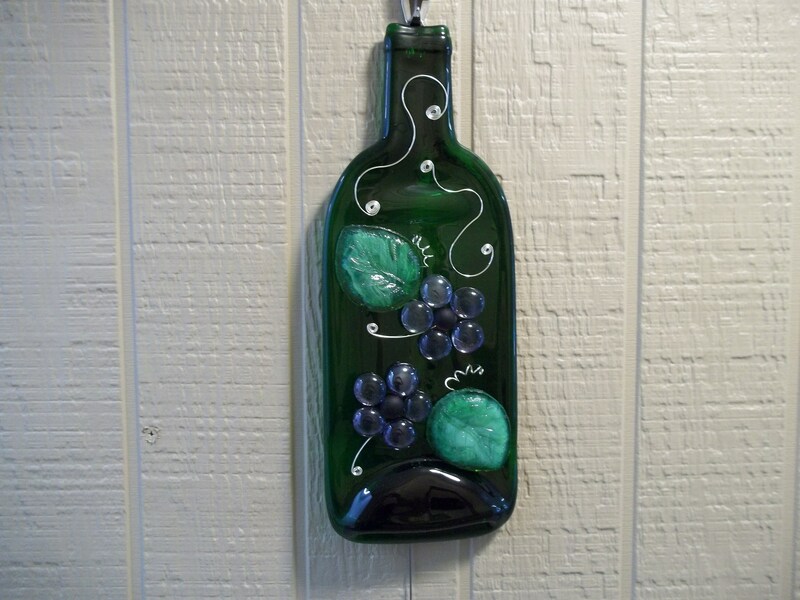 This would look nice hanging on a shepherd's hook or in a window. 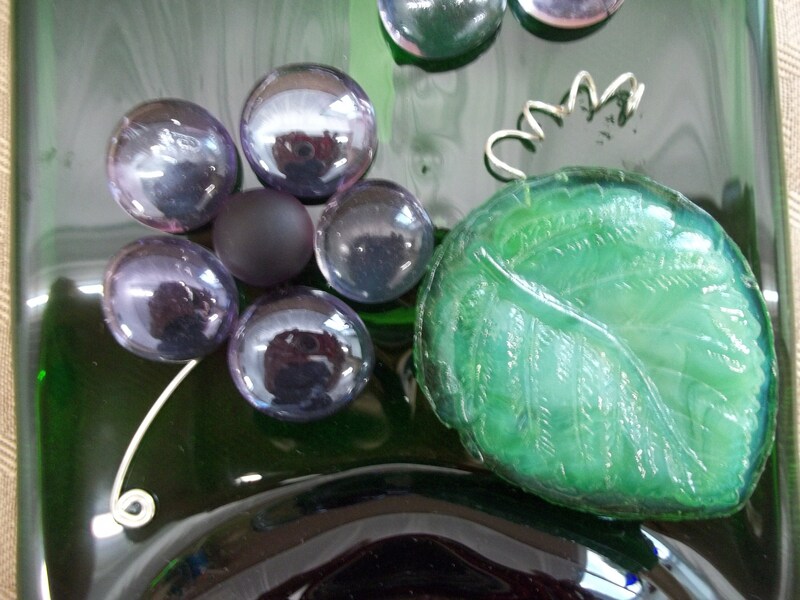 Please do not use a suction cup to hang, it will not withstand the weight.